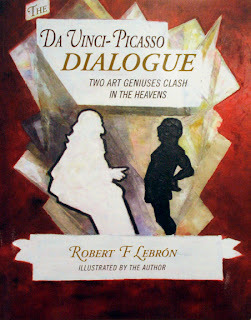 The Art Gallery of Viera will host a Champagne Book Signing for the newly released book “Da Vinci-Picasso Dialogue-Two Art Geniuses Clash in The Heavens” on Sunday, November 18, 2012 from 2-4 pm. This is Mr. Lebrón’s first foray into fiction about the imagined interactions of two of the world’s most renowned artists. His novel is also illustrated with Mr. Lebrón’s own witty and intriguing art work. Robert Lebrón is a distinguished artist in his own right, and certainly one of the finest and most successful artists of our time. 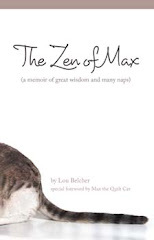 He was born in New York City in 1928, delving into the arts at a very young age. He studied at the New York High School of Music and Arts as well as The Arts Student League of New York. 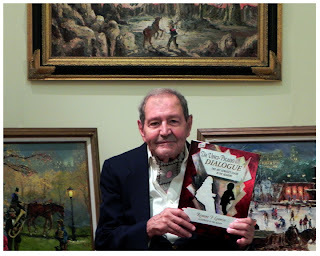 He was soon drawing cartoons for a local paper which led him to working with Walt Disney artists. Mr. Lebrón developed his own personal style, painting with just a palette knife, and concentrating on painting street scenes around the western world. His paintings have been published in prestigious journals and each painting is full of life and tells it’s own story in Lebrón’s inimitable way. His most famous body of work, a series of paintings depicting the tragic trials of the Donner party is on display at the emigrant museum in Trucklee, California.